Spring has arrived! 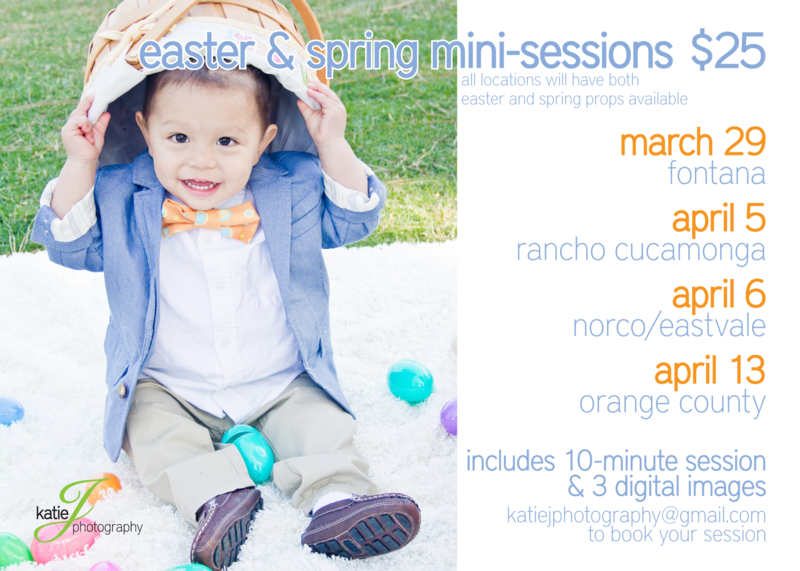 And so have Spring & Easter mini-sessions! What better day than the first day of Spring to announce this year’s Easter and Spring mini-sessions! With a variety of locations, dates, and times to choose from, there’s no reason to not book a session for your cuties this year! All locations will have props available for both spring and Easter photos. Space is limited, so book your session today. Email katiejphotography@gmail.com with questions or to book your session.